A clothes dryer is sometimes an under-appreciated appliance here in Arizona. After all, our sunny weather can dry clothes without much help. Still, there are plenty of times when dryers are handy. For example, when you need to dry a load of laundry during the monsoon season, or if you want to avoid the wrinkling that seems to come whenever fabrics are line-dried. And, sometimes it's simply inconvenient to hang wet laundry outside. So, when your dryer isn't working, it's time to seek professional help. 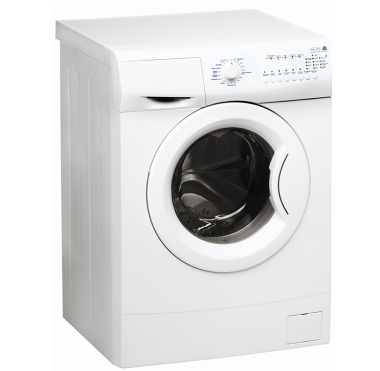 AZ Appliance Repair is the leader in fixing clothes dryers and all other household appliances. Best of all, in most cases we can repair an appliance the same day you contact us. Before calling us, you should run through some basic troubleshooting. First, as with any electrical appliance, check to make sure the unit is plugged in and the fuse or circuit breaker is working properly. If your dryer is gas-fired, and you're sure that the electrical power is connected, check to see if the gas valve is open. And, if the dryer works intermittently, especially if there seems to be trouble with the door, the door switch may be sticking or broken. Often, dryers don't work efficiently because the vent hose has become kinked or clogged with lint. Remove the lint to ensure a clear pathway for the hot, humid air exiting the unit. Still, lint can also accumulate within the appliance housing itself.... If so, we can clear it. Sometimes, dryers suffer from problems with thermal switches, internal fuses, thermostats, igniters, flame sensors, coils, heating elements and timers. In case of a problem with any of these components, or if you simply can't easily see and correct the issue, you should call us. We can fix any kind of dryer, whether gas or electric. Our technicians carry all necessary tools and replacement parts with them, so we can almost always repair your appliance on our first visit. Since we serve Tucson and surrounding areas with multiple repair centers, if you call during the business day we can usually repair your appliance the same day.